Saba Alizadeh is a composer, musician and photographer from Tehran, Iran. 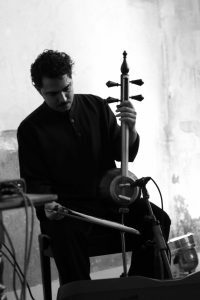 He plays the Kamancheh (Iranian spike fiddle), performs electronic music, and realizes sound art productions. Alizadeh studied Kamancheh and photography in Tehran and experimental sound art at the California Institute of the Arts, Los Angeles. 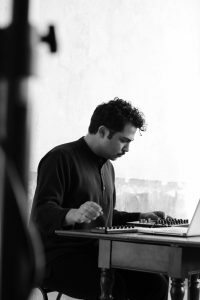 In 2014 he founded Noise Works, a platform for organizing concerts of experimental, improvised, and electronic music and for the transfer of knowledge of music technologies among young Iranian musicians. Franziska Buhre: Would us three, Farah, Josh and myself, have a direct response to what we have just experienced during the concert with Saba Alizadeh? Farahnaz Hatam: I thought it was amazing. It was really interesting to see the instrumental work in juxtaposition to the electronic work that you, Saba, presented. I thought that they were both really incredible pieces that as performances took the listener to different places. As I was listening to the electronic work I tried to really stay inside myself but as you were performing on the instrument I really had to look at your craftsmanship on the instrument. It is so interesting to watch someone as they’re performing an instrument as opposed to working on a laptop because it’s a very different experience and for me listening to laptop music is always about a kind of listening experience that is more internal and the instrumental experience was much more going outward and looking at you and your expressions while you were performing. For me it was really fascinating to see the two performances side by side. Josh Kun: I would echo much of that. The only thing that I would add – because you split the set the way you did – it made me think very hard about the assumptions that I was bringing to what the different instrumental delivery systems meant. We see a laptop and the mixer and we see you twirling knobs which typically conveys that it’s modern and contemporary. 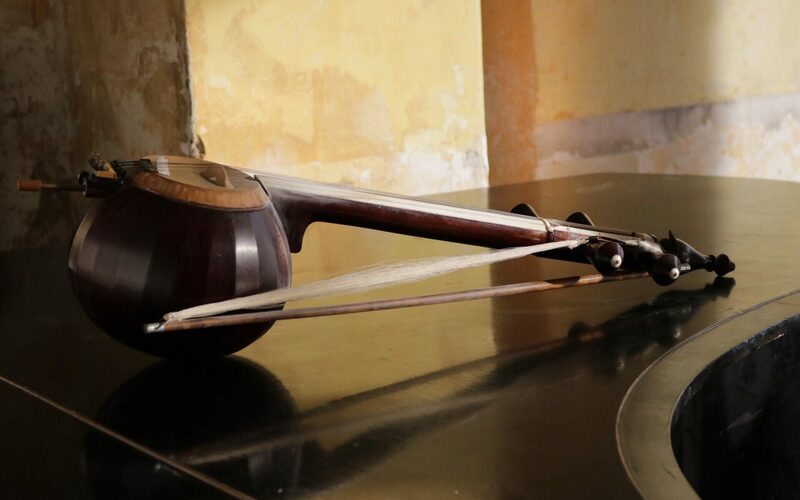 And we see an instrument that is acoustic, made of organic material that conveys a sense of the traditional, and it made me question why I thought that was traditional and this wasn’t traditional and why isn’t that modern and why isn’t this traditional. I think a lot of the different ways that you were bringing sounds together on the electronic piece which involved perhaps lots of repetitions, lots of pulsations that emerged into melodies, into brighter colors that felt collaged even though they weren’t collaged. But then with the solo acoustic piece the same things happened but just in very different ways. Right as you finished at the end you were moving in a really beautiful circle and when you ended the electronic piece you were moving the knobs in this circular motion. So I was thinking a lot about those circles. They were very beautiful, very emotional. I felt very very moved by it. There was also a sadness in them that I’m still feeling. Franziska Buhre: I enjoy it so much when I don’t see scores on stage. What fascinates me the most is when I witness such a huge knowledge being performed, knowledge that has been passed on from people to people since generations and then I see it live. That really moves me. Saba, your album is entitled “Scattered memories“. How are these scattered memories are connected to certain places for you? Saba Alizadeh: There are eight different tracks on it and I would call them eight different images. Because each took place in a different city in terms of recording and composing. I wouldn’t necessarily call it a compilation because it has a concept behind it. Maybe it’s not so obvious because the title puts everything into one place. The tracks are made exactly as you saw tonight. some are purely electronic, some are purely acoustic and there is also a mixture in some tracks. Depending on the idea of each piece I pick the media, if it’s modular synth, field recordings or dealing with field recordings in a concrète way or if it’s acoustic depends on the piece and on the idea that it comes from. Sometimes I get asked are you an electronic musician or are you an acoustic musician and I tend not to answer the question because it’s like a painter – you don’t paint with oil only or with pencils, it depends on the piece basically. Franziska Buhre: Could you give an example of a place and a sound connected to that? Saba Alizadeh: I usually put my electronic pieces in a neo concrète title or genre, if that exists because I use sound as an object, meaning that I find or I record sounds. For example in the very first piece that you heard, from the middle to the ending you hear this one sound clip that was actually recorded in the very first years of the revolution which is the slogan Allahu Akbar that is being shouted in the Friday prayers. So I actually recorded that on radio during the Green Movement because they were broadcasting it and I use it somehow as a pad underneath everything but at the end you could somehow hear the verse. What I mean is that I usually find these types of sounds or record these types of sounds that maybe have a political or social or even a location memory to it. Franziska Buhre: It is a big question for me how knowledge is being distributed among people in the age of viral content. How is it accessible to us and how do we deal with it? Farah, as you were doing the radio mix for Klangteppich festival you were sending me examples of historical recordings of Iranian singers. I would like to know more about your personal connection to these voices. How do you deal with that artistically? Do you think the voice or vocal expression is a carrier of the knowledge being distributed among different communities? Farahnaz Hatam: The reason that I selected the vocal tracks for the radio mix has a lot to do with growing up till the age of 12 in Iran and also the music that my parents listened to and the music that my father still listens to and how it actually shapes his emotional life in the United States and how he relates back to the time he lived in Iran but living as an immigrant in the United States. Of course he has worked there for many years and now he’s in his 80s. Although he’s not speaking the English language very well so he’s kind of isolated from the rest of the community but he also does not have an Iranian community around him. So part of the way that he connects back to the time that he had in Iran is through music. He listens to music all the time, drives around in his car and actually has selected a part of California which actually reminds him a lot of the landscape of Iran. So I think that in a way in diasporic cultures or in places where people are forced into exile they still carry very much with them these kind of references to a time and place in which they had a different life. For him his life changed very much when he came to the U.S. and I think that this is a way for him to relive the past in a sense but it also has a very deep emotional resonance for him. Farahnaz Hatam: So this is the music that I also have grown up with around my parents and I also remember from my time in Iran. Iranian vocals touch me very deeply which I can’t explain to you. I went to the festival Female Voice of Iran [Berlin, 2017], it was female vocalists from Iran and I was so touched by hearing one of the vocalists that my entire body was covered in goosebumps and I don’t usually have this kind of experience in relation to music. So for me it’s a very emotional thing when I hear a voice and of course the lyrics are also very meaningful because I can understand them. I don’t know if it necessarily carries knowledge but it definitely carries a lot of emotional resonance. And also most of the music is from the time that was pre-revolution that they’re listening to so this is the Iranian pop that I know. I don’t know how relevant that is today. Josh was playing things before that I just don’t know. So Iranian pop culture for me is from that time of my childhood. And it’s a very particular way of singing that is not so common in the west so it has a very geographical resonance that’s not happening in other places unless people are migrating and bringing it with them. Josh Kun: I hope you can tell me later where that is in California. I think even locally hear in Berlin two very quick obvious examples of that happening in a different context is that you have Fairouz and Umm Kalthum cafés, hooka lounges, and bakeries that are named for these two iconic female voices and that serve as gathering and socializing spaces for people in Berlin originally from the Middle East and the Arab speaking world. These are voices that, regardless of their specific national belonging, represent the connection back to home, the connection back to a region that you perhaps have been forced to leave. It’s similar in Los Angeles: we’ve got a series of musical statues in Los Angeles in public parks and three of those statues are Mexican musicians: Agustin Lara, the great Mexican composer and vocalist, Lucha Reyes, one of the most iconic Mexican ranchera singers and Antonio Aguilar, the ranchera mariachi singer. What I loved about the story about your father, Farah, is that it’s of course him imagining himself elsewhere perhaps but it’s also his way of living where he lives. So California becomes transformed. It’s not him leaving California, it’s actually California being transformed in that moment which is so important and that’s what the Iranian music scene has done since the 80s – it has really made California the space for the reinvention of Iranian culture and Iranian identity. It is a really extraordinary set of histories I think. Franziska Buhre: Saba, what was your experience with that scene when you have been in California? Saba Alizadeh: When I was there I didn’t experience anything because I was studying the whole time. But as Farahnaz was saying, that somehow runs in the blood of all Iranians because you’ve been hearing that repertoire, that music for so long and everybody has just memories that’s by heart. The interesting fact about it I feel, is that because after the revolution so many pop singers and artists and composers had to migrate to Tehrangeles which is in California and the interesting fact about their music is that since their roots were cut off because they couldn’t go back anyhow, they somehow saturated whatever they had in hand in order to make it to live longer. So in terms of pop music whatever you hear for me as a musician has a more saturated touch to it. You could see it even in the aesthetics of the video and the arrangements, even in their singing. And also it’s interesting to note that all the repertoire that was being produced, all those hits that were being made was actually happening during the war. So after the revolution there was Iran-Iraq war for eight years and all these singers had to sing. Most of their songs I would say are sorrowful, sad somehow but with an upbeat tempo to it and colorful arrangements which some of them are still the most beautiful pop music that we have until today. We had so many great singers go to the United States for example Hayedeh I believe is one of the most dominant female singers that used to live in Tehran and she had to go to Los Angeles and she passed away there [in 1990]. There are so many other examples but for me as a person that grew up through the war era, the fact is interesting that this type of music or that kind of genre that was actually being produced in Los Angeles happened in the war and has a saturated taste over it. 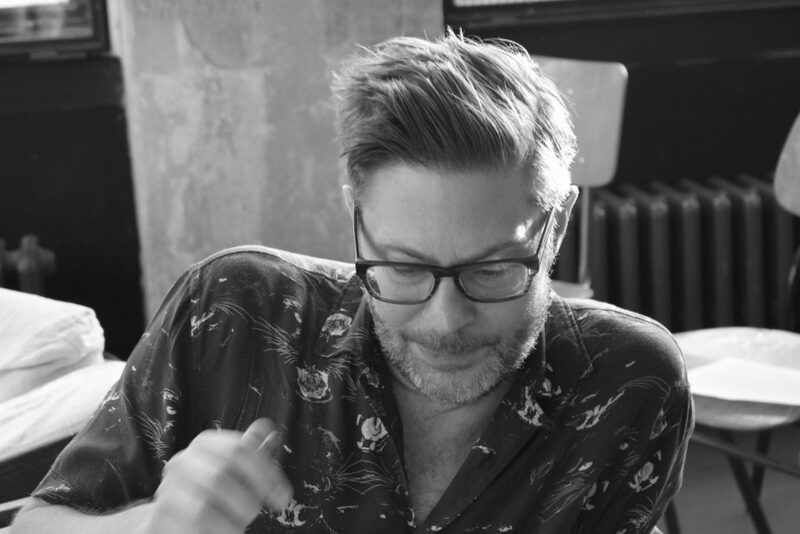 Josh Kun: When you were talking about your own piece before you described on one hand the theme of being scattered or the theme of scattered memories– literally say of people being scattered– and then you were talking about a pad that runs as a foundation to the track. So when scholars typically talk about diaspora, one of the ways, diaspora, or even exile is talked about is the relationship between a pad, a foundation and a movement, away or around that foundation. So there is like something that’s always there and then something that changes. Amiri Baraka famously talked about black music across the black diaspora as the changing same – there is the thing that is only there because it’s always changing. And I think in Los Angeles you see that a lot where there are some styles that continue and repeat but then I was just doing some listening to prepare for this – there was so much Iranian pop in the 90s made in Southern California which maintained some typical styles but then all of a sudden would throw in a James Brown hook or a Sly & the Family Stone reference, or some hip hop came in, or Shahram Shabpareh wearing Lakers gear on an album cover. That doesn’t make it less Iranian at all but arguably makes it more Iranian, part of that pad scattering model. Franziska: In your own research, “The Migrant Sound“, what’s the pad and what’s the moving element? Josh Kun: I think it varies with each musician really and with each tradition. But I think that’s such a common practice: something stays the same that changes. 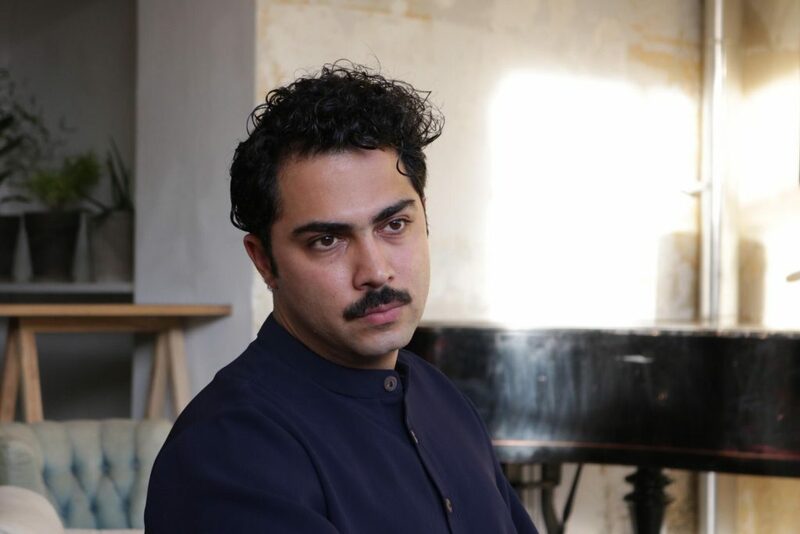 There’s someone that I highly recommend to people who are interested in Iranian diaspora scene, a producer named Omid Walizadeh who was born to Iranian parents in Los Angeles. 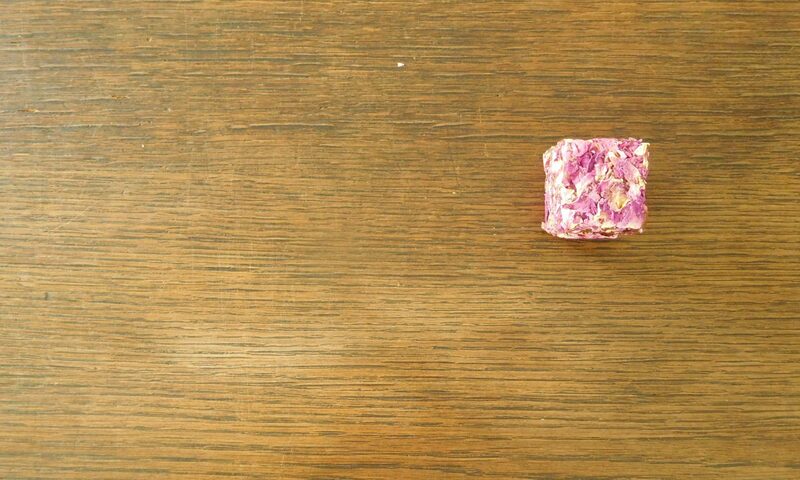 And let me stress when you say Tehrangeles you’re talking about at least a million people. I remember growing up in Los Angeles before I knew about anything as a music fan, I would see posters for this woman with this amazing name: Googoosh and she would play the Hollywood Bowl and she would play the Forum, that’s where the Lakers played. These weren’t little night clubs. Singers like Andy could sell out huge capacity venues. These are major stars. Josh Kun: Omid got super into hip hop in the 90s and became one of the most important independent hip hop producers for groups like Freestyle Fellowship and 2Mex and Busdriver and he got involved with this influential party called the Good Life, which was really the birthplace of alternative hip hop in Los Angeles. Only a few years ago he started changing what he was making and he put out a record “Modern Persian Speech Sounds“. And they’re Diggin’ in the Crates mixes where he digs through mostly 70s and 80s Iranian Funk and Disco and now his Instagram is full of short video clips of newscasts and music videos of exilic media, produced in Southern California that he then cuts up with hip hop beats and loops. And so his Instagram has become his own piece of audio-video diasporic production where there is padding and scattering and padding and scattering. 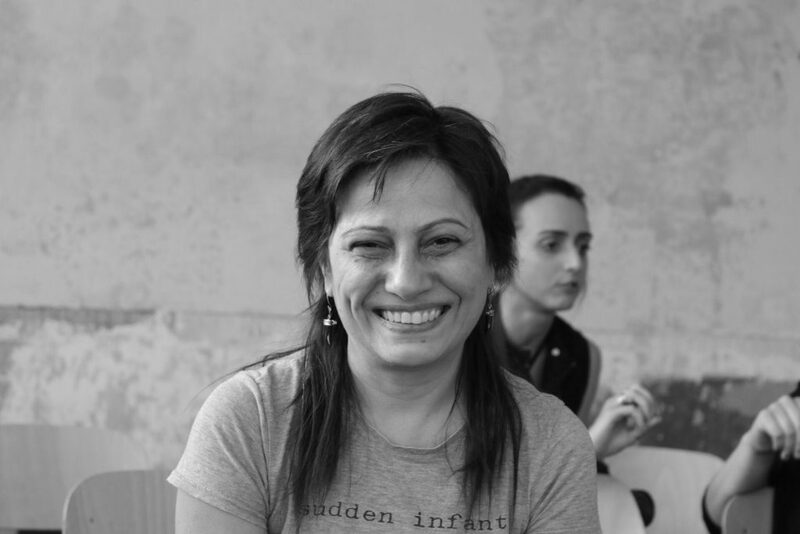 Farahnaz Hatam: It is a difficult question how people relate to something that is being taken from them and then kind of mashed up and then continued without them. I think it is difficult to actually know exactly what those people are thinking and this kind of living with digital culture where what you do gets taken beyond your control somehow and used and continues to have a life of its own and also to take on meaning for other people. I think this is kind of what we should hope for music in a sense. That it can be taken and retranslated and reconfigured and reunderstood and redefined because what happens, maybe to the dislike of the person that actually made it and maybe it has a much bigger life than its original life. Franziska Buhre: Do you experience that with musicians in Berlin you’re working with? Farahnaz Hatam: I was reading about Matt Shadetek in Jace Clayton’s book [Jace Clayton: Uproot: Travels in 21st-Century Music and Digital Culture, Farrar Straus & Giroux 2016] and it’s exactly what happened to him actually: his music was taken by dancehall movements in Brooklyn and then used and then taken from them into the clubs and transformed by youth and it kind of had a bigger life than it had in his home studio production where he made the original piece. I think there are also lots of copyright issues that come up with this but I don’t know if they’re of interest at this time that we are living in. Of course it’s not so great if people take something that you did exactly and then they just repeat it and take it and don’t credit you at all but I think that these things are transforming so much to a certain degree that it’s no longer the same thing. I think in that case it’s actually okay. Josh Kun: This is tricky stuff. I agree with everything you said and I wanna pick up on the last point, the darker side. Yes, there is sharing and influence that’s what has made the history of music. At the same time that same history of music has been shaped by larger systems of power rooted in colonial histories. A lot of the way music circulates as a commodity comes out of colonial systems of power and recording. We have the phonograph archive here in Berlin [The Sound Archives of the Humboldt-Universität zu Berlin], one of the world’s greatest archives of ethnomusicological recordings anywhere in the world that helped found what we know of as ethnomusicology but is born out of a colonial impulse of European gathering of „exotic“ other „foreign“ sounds and so I think we have on the one hand to always celebrate this system of sharing and contact and exchange and movement, but always be careful that it is one that happens as evenly and justly as possible. Copyright might not be the right answer to police that because then copyright gets into all kinds of other policing that limits creativity, perhaps kills creativity. But I do think credit is what is being lost. Credit to me is where we need to focus, we need a larger system of citation in musical exchange that isn’t necessarily about copyright and intellectual ownership but is about tribute, paying respect, acknowledging sources and influence – what I am doing I am only allowed to do because you’ve done it and what I am doing is a tribute to you. There has got to be mutuality and recognition in listening and production. Saba Alizadeh: There is no doubt about crediting. But at the same time if you’re recording your environment and nobody is singing a composition or the words are not sure being a composition, I guess it’s fine. Franziska Buhre: How do we create then a larger system of citation with everybody involved, the creators of the original sound and then the people who deal with it? Farahnaz Hatam: There is a whole genre based on sampling, hip hop, so I think that to try to police that kind of thing actually makes it limiting to creativity and I think there is also the question of field recording. Field recording can be like Saba used it, the sound of a crowd or it can be people talking on the street or the sounds of everyday life and so at which point do you begin to credit people for a field recording when it’s actually existing in your environment? And there is many people that have a different approach to field recording in which they completely compose with field recording, they filter it, they process it, they cut it up to the extent that it’s absolutely unrecognizable. That is a really different kind of practice than showing up with your microphone and recording a concert of someone else and then putting it under your own name and I think this would be very wrong. And this is a practice that is definitely problematic. But also the reverse of that to try to control it too much. The things that are going viral are not the highest cultural forms like a guy playing a guitar in his bedroom singing a pop song. Chocolate rain [by Tay Zonday] had millions of views. Saba Alizadeh: I have a question actually: As you said, sometimes you work with sound as an object, you mash it up, you slice it, the end result has nothing to do with the beginning so you could have a vinyl from a famous artist and just mess with it. But the foundation is the actual object that you mess with. You wouldn’t necessarily recognize that it’s the art work of an artist that you’re messing with. What is the deal then? It is the material that actually inspired you to do so. Josh Kun: Hip hop emerged as a DJ based genre where the whole point of DJ sets was to obscure the sources. You’re not supposed to be able to name the samples, you’re supposed to be so good at making the mix that no one can tell that you flipped that record. Hip hop DJs famously in the 70s and early 80s would take vinyl records and before they would go play at a party they would take them and soak them in the bathtub to get the label off the record so that when you’re playing a set people couldn’t come up and see what you were playing (and therefore couldn’t copy your style). And even when Jay Z’s most recent record “4:44“ came out I remember on Twitter within like an hour there were all these fans naming every sample on the album. I love that because it was historical and proof that people were doing their homework but then the older school hip hop heads were like ,Don’t do that, don’t tell everybody what went into making the record, stop naming things!’ So I think that there is a back and forth. We all know when you’re stealing stuff and not giving credit. Saba Alizadeh: Some people say it’s somehow democratic to buy the product you sample that part of it is yours and you could do whatever with it. But it could also be an argument: is it yours or not? Whatever is being played in the air is it yours because you’re there, you’re listening to it? It’s a tricky situation I believe. Farahnaz Hatam: I think this concept of originality and the copy is actually very tricky at this particular time because also when you’re using technologies such as me using SuperCollider to synthesize every single sound, I don’t sample so I’m not a sampling artist, but for me using that technology already comes with a lot of knowledge that’s been passed down to me. So for me to think that it’s an absolutely original work that I’m making is also false. With any technology that you’re picking up you’re actually picking up ideas and plugins and using things that other people have created which make music making possible. So I think to divorce that from this idea of original and copy is also a false feel on it. Because not everything is an original intellectual thing that one comes up with absolutely from one’s own at all levels. It’s just not happening with the use of technology for sure or old musical forms even in that sense. Josh Kun: Just to reconnect this back to the specific geographies that we’re here to talk about, that’s the same argument that is often used in a diasporic situation. Where the Iranian in Los Angeles is potentially seen as a copy of the original Iranian who is in Iran. It’s always within diasporic communities that the scattered are seen as less authentic than those who are back home. So it’s interesting that all of these aesthetic terms and aesthetic practices are actually ways of dealing with cultural translations and negotiations of home and distance and exile. Josh Kun was the Bosch Fellow in public policy in the class of spring fellows at the American Academy Berlin. He is Director of the USC Annenberg School for Communication, where he is Professor and holder of the Chair in Cross-Cultural Communication. Kun also directs the Popular Music Project at USC’s Norman Lear Center and co-edits the book series Refiguring American Music for Duke University Press. He has worked as a curator and artist with SFMOMA, the Getty Foundation, California African American Museum and the Santa Monica Museum of Art, among others. As a journalist, Kun has written for the New York Times, Los Angeles Times, American Prospect, and Los Angeles Magazine. He is co-curator of the experimental Latin American art and performance series Crossfade Lab, in Phoenix, Arizona. Kun is a 2016 MacArthur Fellow. His latest books include The Tide Was Always High: The Latin American Music of Los Angeles (University of California) and Double Vision: The Photography of George Rodriguez (Hat & Beard). His previous publications include Audiotopia: Music, Race, and America from 2006 which won an American Book Award, and two volumes based on the special collections of the Los Angeles Public Library, one of them entitled Songs in the Key of Los Angeles (Angel City Press, 2013). Kun’s current project is entitled „The Migrant Sound“. In it, he explores the impact of displacement, relocation, deportation, and immigration on the aesthetics, communication networks, and formal and informal industries and markets of contemporary global music practices. Farahnaz Hatam was born and raised in Tehran, Iran. She is an experimental musician working with SuperCollider sound synthesis programming environment and also modular synthesizers. She is interested in sound as sculptural material and as a medium in which ideas are communicated. Hatam studied biochemistry and installation art with Constance deJong and Robert Morris at Hunter College, New York City. She lives and works in Berlin where she co-founded N.K., a legendary space for the avant-garde and non-mainstream culture. Hatam works currently as a musical director for theater and performs solo. As a duo with the drummer and percussionist Colin Hacklander she has collaborated with the Hyperion Ensemble, the Ensemble Zeitkratzer, with Liz Rosenfeld, Moor Mother and the theatre director Ariel Efraim Ashbel, among others. She occasionally performs as a specialist DJ. Her upcoming project LABOUR will debut this summer at Berlin Atonal. She recently premiered her collaboration with the Berlin-based singer Hani Mojtahedy at Klangteppich festival, where traditional Persian vocals and sound synthesis juxtaposed against each other and were coming together.